Being Lutheran / Podcast / Being Lutheran Podcast Episode #104 – What Does Such Baptizing with Water Signify? 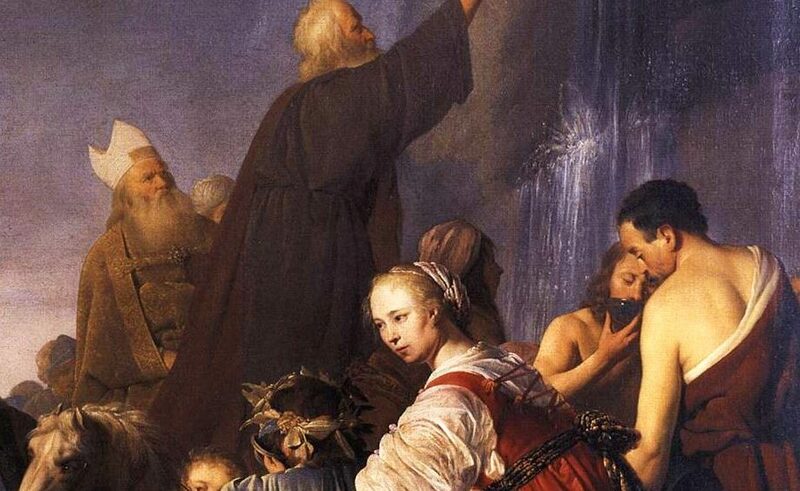 In this episode, Brett, Brian, and Jason conclude their discussion on the Sacrament of Baptism from Luther’s Small Catechism. 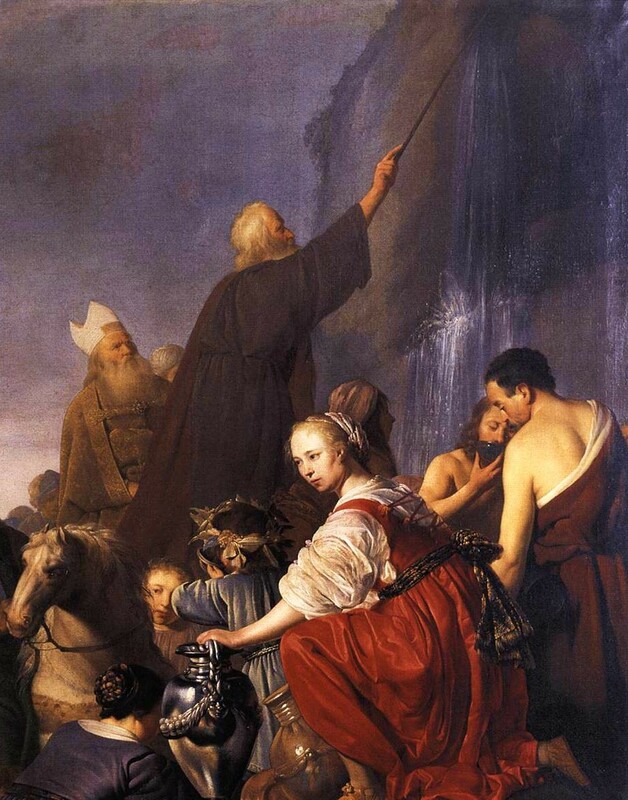 Along with the salvific value of Baptism, there is also a ceremonial and symbolic value to Baptism. Baptism is our entrance into the Christian Church and signifies the drowning of our old nature and rising of our new nature in Christ. These are not the primary focuses of baptism, but are valuable to talk about nonetheless. I am absolutely loving your series on Baptism. There is so much of this with which we in the Reformed branch of the Church agree, especially at it relates to the necessity of the connection of the Word and the working of the Holy Spirit with the Sacraments. I really love your point about the “frequency of baptism”! But I do have a couple concerns and I am not sure I can articulate them clearly. So, please bear with my seemingly rambling post. I agree with you guys that baptism is a beginning. But what it seems to me to begin is the process of Sanctification which I see as the “daily confession and repentance” that Brian mentions in this episode. What concerns me is what appears to be a conflation of Justification and Sanctification in this discussion. I am not the first person to point out that this is probably the biggest problem with Catholic soteriology. How do you understand the relationship of baptism, Justification, and Sanctification? Also, I have concerns about that statement by Brain in this episode that the grace that is given in baptism can be lost. In the next episode (105) I especially appreciated your discussion about the term “faith” and your recognition that Scripture uses the term differently in different passages. So, my question is whether the Lutheran theology to which y’all (I’m from Texas 🙂 ) subscribe understands that “saving faith’, or what I would think is Justification, is actually graciously gifted to a child as soon as the water of baptism is applied to them? You make a great statement in this episode that at baptism is when God made us His child and that we did not make our self God’s child. As you said “it is pure grace and pure comfort”. But it seems as if you are then going on to say that we have the power to unmake our self God’s child which seems to me to undo all of the assurance one could possibly get from their baptism. Ultimately, I am struggling with understanding of how one can hold to the idea that there is absolutely no way for anyone to merit Grace but we can demerit it resulting in its loss. How can both of those ideas be biblical? Why can’t we simply say “[t]hey went out from us, but they were not of us; for if they had been of us, they would have continued with us. But they went out, that it might become plain that they all are not of us.” (I John 2:19-20) The passage does not indicate they were ever “of us”, in other words, they were never one of God’s children as we are. This seems opposed to the idea that one can lose the salvation they received at baptism and wouldn’t that loss of salvation require another baptism in order to get it back? I don’t see how anyone can ever be assured of their Justification with your understanding of this issue. How can anyone know for sure that their confession and repentance is good enough. Isn’t that the exact thing with which Luther struggled that started all of this? By the way, I would highly recommend reading Chapter XVIII of the Confession titled “Of Assurance of Grace and Salvation”. I think it and the above quoted portion of the Confession lay out a much better biblical basis for the assurance of salvation that does not involved the losing of one’s salvation. Also, please feel free to let me know that I am being a bother in posting all of these questions and I will be glad to stop. But I am really trying to understand our differences and trying to see where I am wrong (if I am wrong) in my theology. Frequently when I taught Sunday School classes for both teenagers and adults I would assert that nobody on this side of heaven has perfect theology. I fully embrace that idea which requires me to hold my beliefs in humility hoping that they are constantly getting better by engaging in discussions like this one. Any way, thank you for your patience and any feedback to these questions you can provide. Earnest questions and honest debate and exchanges are never a bother. We welcome them and appreciate that you have taken the time to articulate your thoughts and concerns. As far as sanctification is concerned, I did a presentation at the Reformation Conference at my church. You can find the YouTube video here: https://www.youtube.com/watch?v=NS63GwdfrHw&t=29s (I can’t remember if this has been posted on the podcast yet or not). This is probably a good starting point, and allows me to shorten my answer a bit. As far as your question about assurance is concerned – that’s a very good question. First off, Lutherans would view the value of our baptisms and the continued practice of repentance as one and the same. Salvation is a gift from God that is received in the Means of Grace, and repentance also is a gift of God. The Holy Spirit works baptism in our lives – it is not our work. I think where the major confusion (and disagreement) between the Reformed traditions and Lutheran traditions lies is that because of our doctrine of the means of grace, salvation can be rejected and lost through unrepentant sin. Since God works through means (and not always in and of his sovereignty), we confess that we can fall away due to obstinate, unrepentant sin. That doesn’t mean that jeopardizes our assurance, however. From God’s perspective, our salvation is sure and certain. From a human perspective, it can be lost through unrepentance. This is why the life of a believer is always one of daily repentance and hearing the Gospel. That is what maintains our salvation and grants us assurance. My favorite line in Luther’s Large Catechism is “We are in the Christian Church, where there is nothing but the continuous, uninterrupted forgiveness of sins.” The whole point of the Christian life is to be continually hearing the Gospel and having it applied in the Sacraments. That is where we derive our assurance and receive our comfort. This statement is very troubling to me. It seems as if you are stating that it is up to me to continue my confession and repentance in order to “maintain” my salvation. Confession and repentance are gifts of God. They are the result of salvation. Surely they are not the source of our salvation. If it is up to me to maintain my salvation I will no doubt fail and this is why I don’t see how this offers assurance of salvation to anyone. Did Luther really teach that we have to maintain our salvation in order not to lose it. Quite the contrary – I am in total agreement with you that repentance is the gift of God. When I say that the life of a believer is repentance and hearing the Gospel, it is one and the same thing: hearing the Word of God preached…the Law in all its sternness and the Gospel in all its sweetness. Salvation is maintained by God. However, if we stop repenting – we cut ourselves off from God’s grace. This is the pattern in Romans 1:18ff, where continued, unrepentant sin is punished with more and more sin (the phrase “God gave them up” is repeated three times). It seems to me that what you would have to show me is a passage of Scripture in which a person is identified as being regenerate from God’s perspective who later spiritually dies in their trespasses and sins for me to forced to believe that a person can lose their salvation. It seems to me that the following two sentences are directly opposed to each other: “Salvation is maintained by God. However, if we stop repenting – we cut ourselves off from God’s grace.” The way I read this is “God maintains our salvation as long as we do what we are supposed to do.” That is not God maintaining our salvation. That is us doing it. Sure, you might say “by the grace of God we do that”. But in the end it sure seems to all depend on us to do it. Of course, as always, I could be wrong about all of this. So, I look forward to your response.